Fox Entertainment Group, Twenty-First Century Fox and The Walt Disney Company have filed a countersuit against Genting Malaysia Bhd, the Malaysian gaming and hospitality company said earlier today in a bourse filing. The move came a few months after Genting announced that it was suing Fox and Disney over a failed project for a Fox-branded theme park at its Resorts World Genting property. The integrated resort is located an hour’s drive from the Malaysian capital, Kuala Lumpur, at 6,000 above sea level. It features seven hotels, multiple food and beverage facilities, retail space, and a number of attractions. The property also includes Malaysia’s only land-based casino. Resorts World Genting annually welcomes 23 million visitors but its owner looked to boost that visitor numbers with what would have been the first Fox-branded theme park in the world. However, the ambitious project never materialized. In a lawsuit filed with the US District Court for the Central District of California last November, Genting said that back in 2013, it penned an agreement with Fox for the latter to license intellectual property for a theme park at the gaming and hospitality giant’s Malaysian resort. Genting went on to say in its 29-page complaint that Fox abandoned its contract and that Disney had instrumental role in its decision to back out of the deal. News about Genting suing the entertainment conglomerates emerged as they were entering the final stages of Disney’s recently approved acquisition of Fox entertainment assets for $71.3 billion. Genting argued that Disney wanted the deal terminated as any association with a gambling company did not fit its “family-friendly” brand strategy. The Malaysian gaming and hospitality company sought $1 billion in damages from the defendants, claiming that it had already spent more than $750 million on the theme park. In their countersuit, Fox and Disney seeks $46.4 million in annual license fees, royalties, and travel reimbursements pursuant to a Memorandum of Agreement signed between the involved parties on June 1, 2013. The entertainment giants also seek consequential damages and other relief under applicable law. Their complaint was filed with the same US District Court. Genting said in its bourse filing from earlier today that its legal team was reviewing the counterclaim and that it would file a timely response to it. The company’s stock dropped 0.61% on news about Fox’s lawsuit to close at MYR3.26 for a total market cap of MYR18.37 billion (approx. $4.4 billion). The gambling group recently found itself embroiled in another legal dispute as Las Vegas casino giant is suing its Malaysian counterpart for copying the design of its Strip properties Wynn Las Vegas and Encore. Genting is currently building the Resorts World Las Vegas integrated resort right across the street from the two Wynn properties. The company denied the claims leveled against it, saying that its luxury hotel and casino complex will look “dramatically” different from Wynn Las Vegas and Encore when complete. The post Fox, Disney Countersue Genting over Failed Theme Park at Casino Resort appeared first on Casino News Daily. Melco Resorts & Entertainment’s Macau properties are sold out for the upcoming Lunar New Year holidays, CEO Lawrence Ho said earlier today in an interview with Bloomberg. The executive also downplayed analysts’ warnings that Macau will record a drop in casino revenue this year on the back of China’s slowing economy. Melco operates the City of Dreams and Studio City integrated resorts on Macau’s Cotai Strip, known to be the Asian equivalent of the legendary Las Vegas Strip, and Altira Macau in Taipa. Mr. Ho told Bloomberg that his properties are gearing up preparations for the upcoming Lunar New Year holidays and that they are already sold out. This year’s Lunar New Year celebrations will take place from February 5 through February 19. Over the course of festivities, Chinese will have a week off. The Lunar New Year traditionally is the busiest time of the year for Macau as visitors from Mainland China flock to the tiny enclave to celebrate. Melco’s all three properties are sold out at higher rates than last year, Mr. Ho revealed today. Over the past few years, the company has been working hard to shift its focus from VIP casino players to the so-called mass market of visitors who come to Macau as tourists and casual gamblers. Melco’s three properties around the Chinese special administrative region have introduced multiple attractions and activities aimed to appeal to that particular customer group. The casino and hospitality giant announced earlier this month that it would cease VIP rolling chip operations at its Studio City casino from January 15, 2020 to further focus its business on mass market entertainment. The company also awaits approval from the government of Macau to commence construction work on phase two of Studio City. The planned $1.4-billion expansion of the existing property will include more non-gaming attractions, including a massive indoor Hollywood-themed water park. The second phase of the Studio City project will also involve the development of two five-star hotels with 1,000 rooms and suites. Contrary to many analysts’ projections, Mr. Ho said he believes casino revenue in the popular gambling hub will grow by mid- to high-single digit in 2019. According to a recent Bloomberg survey, the city will record a revenue decline of around 1% this year due to weakening Chinese economy and uncertainties over how and when casino licenses will be renewed in Macau. Morgan Stanley analysts forecast a 2% drop in gaming revenue. They also believe that the VIP gambling business is volatile as many Chinese high rollers are in the property and manufacturing industries and those are heavily impacted by China’s economic slowdown. Macau is expected to see a slight decline in its January gaming revenue, which would end its streak of 29 consecutive months of revenue growth. The post Melco’s Macau Casino Resorts Sold Out for Lunar New Year, CEO Says appeared first on Casino News Daily. Life has thrown a lot of obstacles at Jason Young over the past several years. But a few nights back, it gave him the opportunity to win a major poker title and the player captured that opportunity to outlast the massive field of the WPTDeepStacks Hollywood and collect $263,205 for his efforts. The tournament took place at Seminole Hard Rock Hotel & Casino in Hollywood, Florida. It drew nearly record attendance, with 1,634 entries paying the $1,100 buy-in to enter the event. He WPTDeepStacks Hollywood was the second largest Main Event in the history of the popular poker series. The giant field generated a prize pool of $1,584,980 that was distributed in payouts for the top 205 finishers, min-cashes starting from $1,695. After five days of play, Young entered the tournament’s official final table as the chip leader with a solid stack and a comfortable advantage over his remaining opponents. Final table action unfolded in the best possible way for the eventual champ. The player never relinquished his top position in the chip counts chart until heads-up. Each of the nine final tablists was guaranteed a min-cash of $26,025. Stephen Ibrahim scooped that minimum payout for his ninth-place finish. Eddy Sabat walked away with $34,125 for finishing eighth in the tournament. He was followed by Quinn Bruno, Pedro Aldave, and Dave Inselberg, who collected $43,930, $53,785, and $66,760. Kevin Chan and Paul James Hizer were the next to leave, taking home $89,000 and $119,820, respectively. That left it to Leif Force and Jason Young to battle it out for the title and the first-place prize. The heads-up match was a short but action-packed battle that saw Young lose his chip lead and climb back to claim the title and the accompanying six-figure payout. During the short minutes of the duel, Force managed to weaken his opponent for a very brief while. However, the player could not maintain his momentum and eventually had to settle for the second-place prize of $183,540. As for Young, he scooped the tournament trophy and the $263,205 top prize, which also includes a $3,000 seat into the season-ending WPTDeepStacks Championship. Young, who hails from New York but currently resides in Delray Beach, Florida, won a gold bracelet from the 2008 edition of the World Series of Poker. He then focused his attention on other life pursuits and had to abandon poker for a while. Young has opened a restaurant and has been raising his daughter all by himself so he hasn’t had much time to play poker the way he used to. However, with his recent triumph in the WPTDeepStack Hollywood, the player said he wants to come back and “put in more volume” as he would do back in the day. The post Jason Young Takes Down WPTDeepStacks Hollywood appeared first on Casino News Daily. Australia’s illegal betting market will top A$2 billion by 2020, a Hong Kong anti-illegal betting unit, part of the Asian Racing Federation, wrote in a report on the extent of illegal betting in jurisdictions in the region and in other parts of the world. The report included information about Australia, New Zealand, Singapore, South Korea, and South Africa. According to the report’s findings, which were cited by local news outlet The Australian Financial Review, Australia annually loses more than A$380 million in betting tax revenue to the thriving illegal betting market. The Asian Racing Federation’s taskforce also said in its report that there are strong links between black market betting and money laundering and organized crime. Australia’s Treasury and the Black Economy Taskforce are currently reviewing the report’s findings to help improve and enhance strategies for identifying and combating illegal betting activities. According to the results from the recently conducted investigation, Australia’s illegal betting market accounts for 6% of the nation’s whole wagering market. The federal government approved in the summer of 2017 amendments in the country’s gambling law that closed loopholes long exploited by offshore operators and effectively banned the provision of online casino games to Australian gamblers. Online sports betting remained legal under the country’s revised regulations. 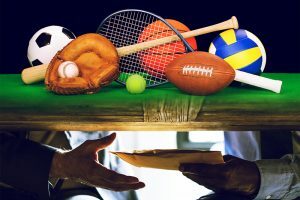 However, many offshore operators have found ways around and have been targeting local players with online casino offering, despite the ban, or with sports betting products without holding a license from any Australian state or territory, thus avoiding paying taxes to local governments. The Black Economy Taskforce has previously highlighted the link between the nation’s illegal betting industry and money laundering and how these fuel Australia’s A$50-billion black economy. The unit has also discovered links between illegal betting and organized crime in the region. The taskforce was previously charged with dealing with illegal tobacco shipments. It has now presented various recommendations for how to tackle illegal betting and most of those recommendations have received support. The unit has recommended that Internet service providers be required to block illegal offshore gambling websites. Banks should be encouraged to prevent gambling-related transactions to illegal betting sites, the taskforce has further elaborated. Members of the unit also believe that betting data should be analyzed thoroughly so that potential links between betting websites and criminal networks are uncovered. Last but not least, policies and actions need to be undertaken so that betting is prevented from being used for tax evasion, money laundering, and other finance crimes, the taskforce has pointed out. The post Australia’s Illegal Betting Market to Top A$2 Billion by 2020 appeared first on Casino News Daily.